When Manchester United and Scotland’s Scott McTominay turned out at Old Trafford last night for the home side’s unfortunate loss to Lionel Messi’s Barcelona, Ibrox Noise was reminded of Rangers’ brief interest in taking the-now 22-year old to Govan in early 2018. Which then took us to other colossal EPL stars of the past two years that we’ve missed out on, and just where we could have been had Harry Winks, McTominay, or Phil Foden been persuaded to arrive at Ibrox, and whether Ryan Kent is in the same league metaphorically as them. Winks was definitely the earliest. Mark Warburton tried in vain to take the-now Spurs regular back in 2015 then 2016 – the England and Tottenham midfielder was a rising star in Spurs’ Academy and has in the past year proven his potential and become a mainstay for the White Hart Lane side. He is the kind of future the national team and indeed his club will be built on. A creative and intelligent playmaker, his manager Pochettino rates him up there as with the finest players of the great Spanish generation of Xavi, and while time will tell if the 23-year old gets there, where could Rangers have gone with a talent like that? Then there was McTominay. The Scotland international has become a regular under Norwegian manager Solskjaer, but in January last year it could have been a different story if Pedro Caixinha had managed to secure the loan deal for the 22-year old midfielder. A top-quality player, McTominay’s quick ascent to the pinnacle of English football has been a story of Solskjaer’s success, and producing it against the likes of Barca and indeed being selected in the first place for such a huge match shows the esteem he is held in now and just what kind of a coup clinching him at Ibrox would have been. And then we have city rivals Man City and their own star, Phil Foden. 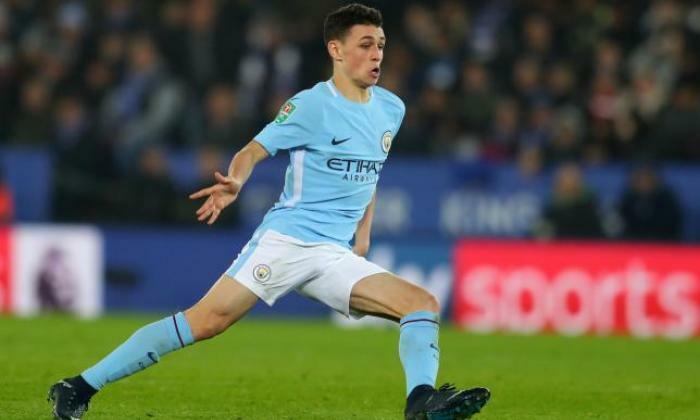 Another piece of the cream of the English crop, Foden is stunningly still only 18 yet has made a staggering 24 appearances for Pep Guardiola’s juggernaut this campaign, with 6 goals in there. Rangers were famously in for him in summer 2017 but Mark Allen will be haunted by his decision to take Aaron Nemane instead. If ever he made a bad call, that was it – Foden has lit up the Etihad and that he’s perfectly comfortable in the company of the De Bruynes of this world without yet having hit even 19 yet shows just what a stonking player this is and what a prospect England have in him. There are a few others, namely Alex Pritchard, but the above three really stand out as absolute howlers for Rangers to have failed on. Winks was forgivable, given Warburton tried his hardest to get him, but McTominay and especially Foden count as two of the worst decisions Rangers’ scouts have made in recent years. On the other hand we DID get Ryan Kent – his stock in English football was more modest at best, and he has been the ‘opposite’ – a player whose potential we don’t have to wonder about, and who has produced a decent dose of top class play. Maybe he wasn’t quite in the Foden, McTominay and Winks category of potential coups, but he has gone up in value to £7M-£12M showing these other kids could have taken Rangers somewhere extraordinary had we managed to get them over the line. It's all ifs and ands! I don't think there is any evidence that we could've got any of them over the line. In any case they were all young lads and were not the players they are today.